Dennis Busenitz receives his second signature sneaker from adidas Skateboarding with the Busenitz ADV. Following the Copa Mundial-inspired Busenitz signature, the updated skateboarding silhouette features a lightweight mesh and suede upper with a reinforced leather eyestay, a seamless toe box for durability and a reworked rubber outsole for superior board feel. Mostly notably, a slimmed-down tongue reduces the profile of the shoe, making it lighter and more trick-friendly. 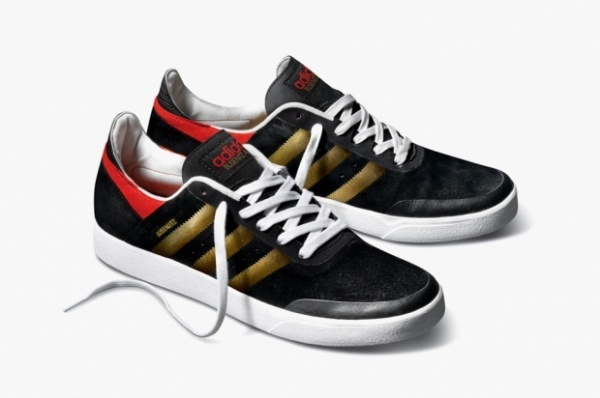 Expect the Busenitz ADV to hit adidas retailers in January 2013.